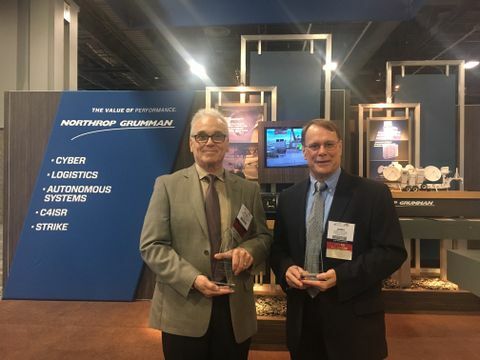 WASHINGTON– Dec. 2, 2016 – Northrop Grumman Corporation (NYSE: NOC) engineers Michael Panopoulos and James Van Kirk were inducted Tuesday into the Association of Old Crows (AOC) Electronic Warfare Technology Hall of Fame at the 53rd Annual AOC International Symposium and Convention this week in Washington D.C. 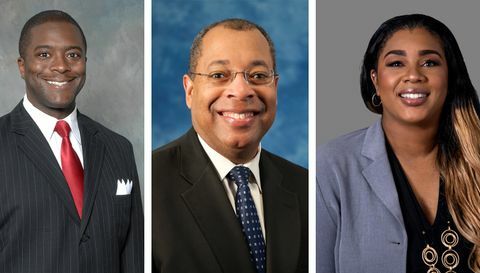 The Electronic Warfare Technology Hall of Fame recognizes individuals who have exceptional expertise in electronic warfare and distinguished themselves as innovators and significant contributors to the advancement of the field. 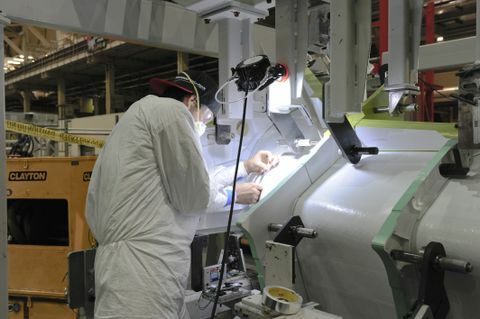 Panopoulos and Van Kirk work in the company’s Camarillo, California, office, supporting EA-18G Growler electronic attack aircraft systems. 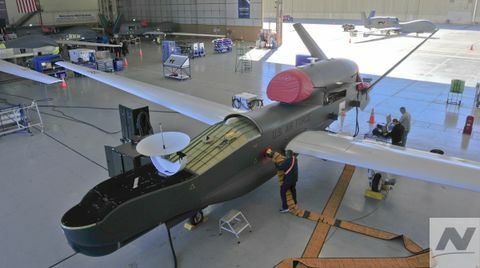 Northrop Grumman produces and integrates the jet's primary electronic warfare subsystems; manufactures the center/aft fuselage “shipset”; and provides related software maintenance and support services. Panopoulos manages and leads all software activities for the airborne electronic attack suite at the direction of the U.S. Navy’s EA-18G Software Support Activity, Point Mugu, California. Since joining Grumman Aerospace in 1982, he has played a key role in the development of numerous critical systems for the EA-18G and the EA-6B Prowler, the Growler’s predecessor, including leading the EA-6B Improved Capability III software development team and serving as technical lead for the EA-18G electronic attack unit computer software. Van Kirk leads the software team integrating the Navy’s Next Generation Jammer with the EA-18G airborne electronic attack suite. His more than 30 years of support to the electronic warfare community include leading development of the ALQ-99 Tactical Jamming System – a major component of the EA-18G and EA-6B aircraft – and numerous operational flight programs released to the fleet. Van Kirk is regarded as an expert in jammer management. The AOC is a global professional electronic warfare and information operations association that promotes electromagnetic spectrum management operations, cyber electromagnetic activities and related military, civilian and commercial applications.